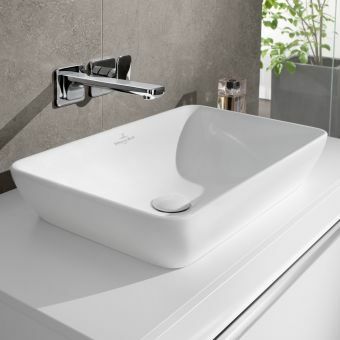 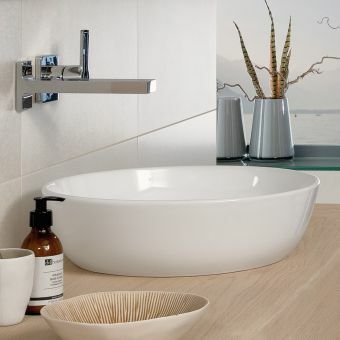 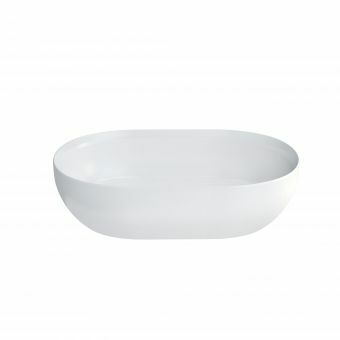 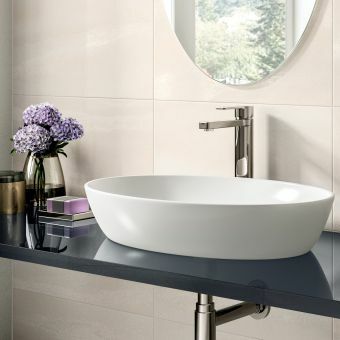 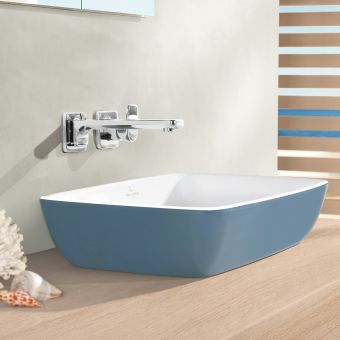 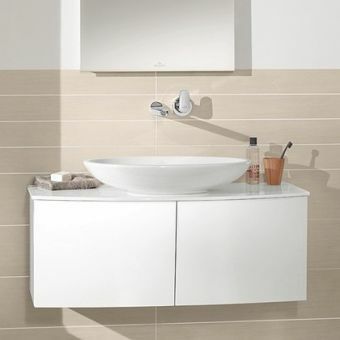 Villeroy and Boch Artis Rectangular WashbowlFrom £580.80 inc.VATRectangular sit on countertop bowl, 580 x 380mm, can be ordered in special colours, white as standard. 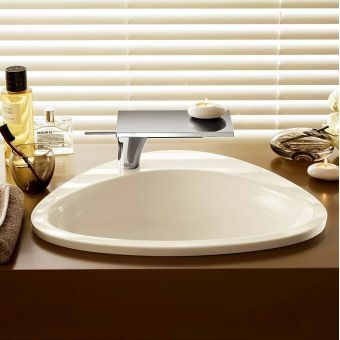 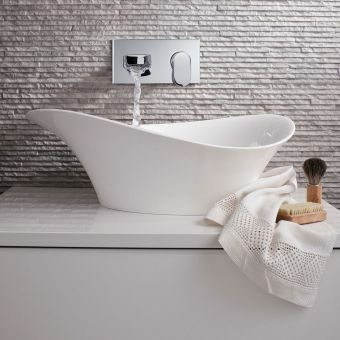 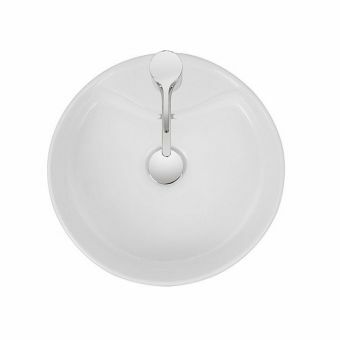 Villeroy and Boch Artis Square WashbowlFrom £442.80 inc.VATAward winning, designed by Gesa Hansen for V&B. 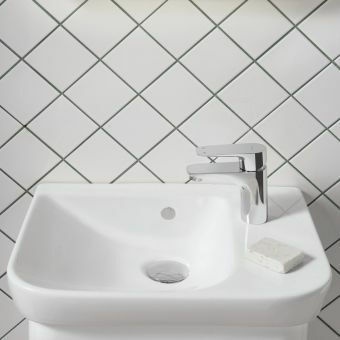 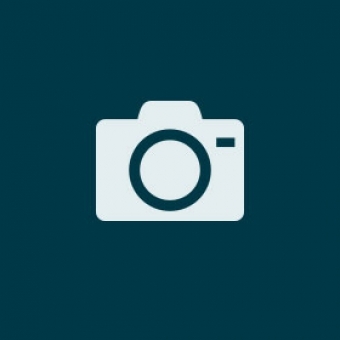 Small square shape at 415mm ideal for cloakrooms, colour options. 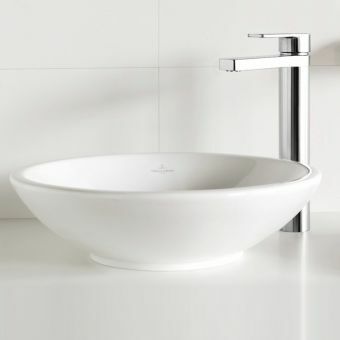 VitrA Sento Compact Basin£131.21 inc.VATRRP: £164.00 (Save 20%)500mm wide, suitable for cloakrooms or en-suite bathrooms. 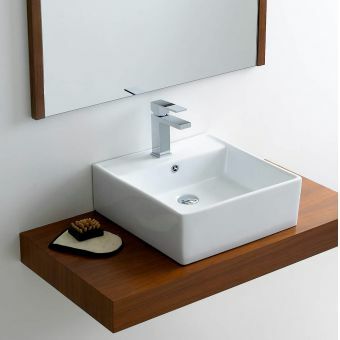 Wall mounted, can also be fitted as a 'sit on' basin. 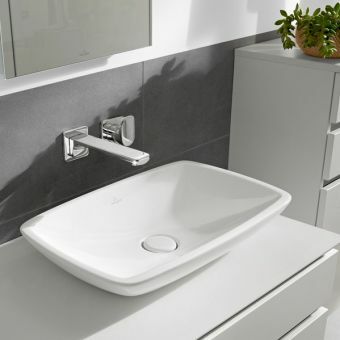 VitrA Sento Large BasinFrom £173.60 inc.VATRRP: £217.00 (Save 20%)Large wall mounted basins, either 78cm or 98cm wide. 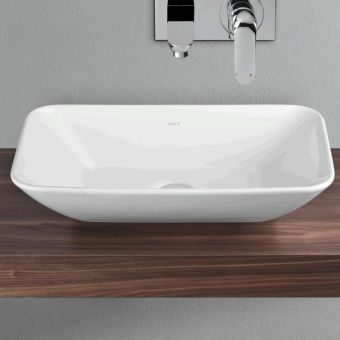 Can also be installed on worktops and counters. 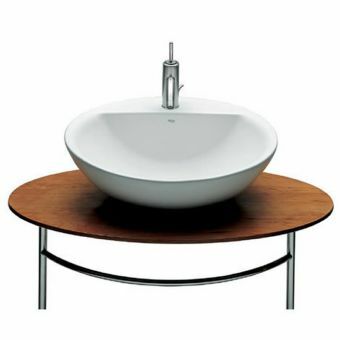 Approved RetailerBauhaus Air BasinFrom £213.50 inc.VATRRP: £305.00 (Save 30%)600 wide by 390mm deep. 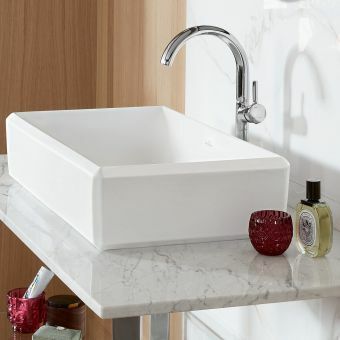 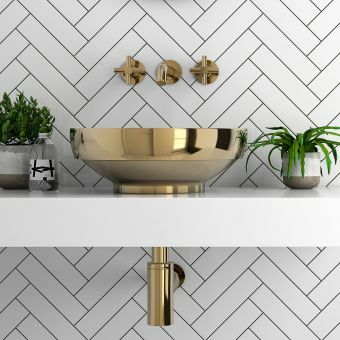 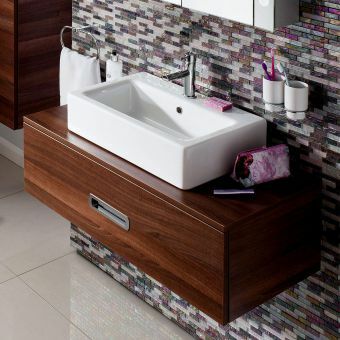 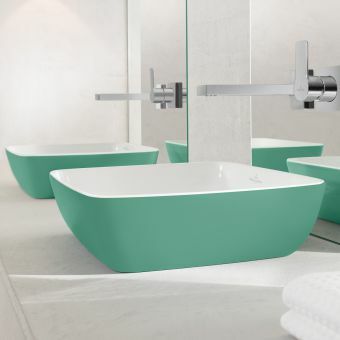 If you want your bathroom to look chic, why not consider purchasing one of our countertop basins? 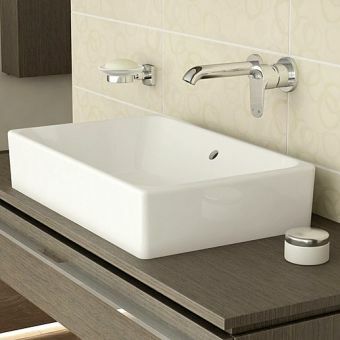 They are quite different from standard sinks in that they are not set inside a vanity unit. 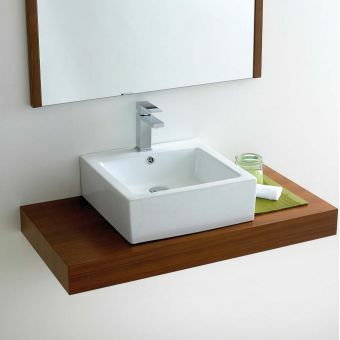 Instead, they sit on top. 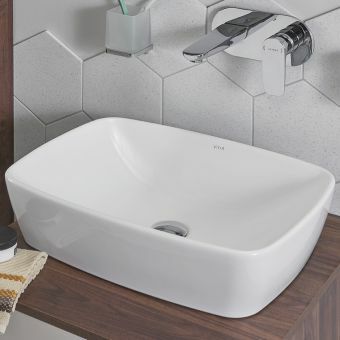 UK Bathrooms have a variety of countertop basins available for sale and as can be seen from those illustrated, they come in a wide range of styles. 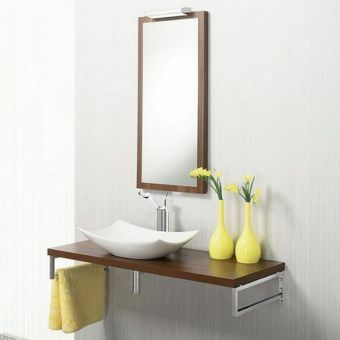 We sell them at discounted prices and there is free delivery and 0% finance for some models. 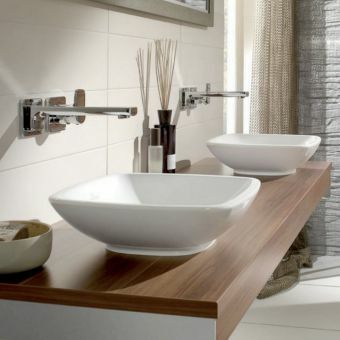 Countertop basins are available in different materials and a good example is the Granite Stone Pebble Bowl from Finwood Designs. 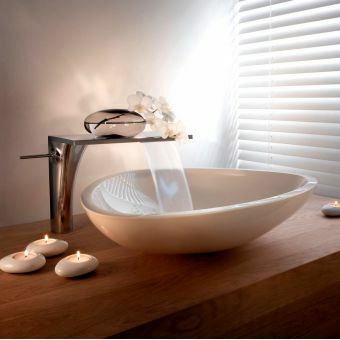 Because of the way each bowl is carved out of granite, each one is unique, giving yours its own stamp of exclusivity. 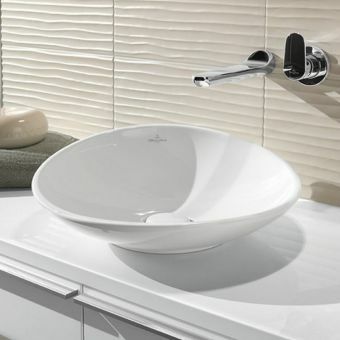 Other alternatives from Finwood are their angled stone countertop bowls carved out of Spanish crema marfil or Australian sandstone. 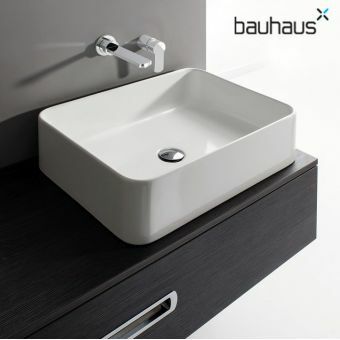 For a minimalist white ceramic countertop basin, the Bauhaus Magdalena 2 is an intriguing choice and looks delightful when placed on top of bathroom furniture. 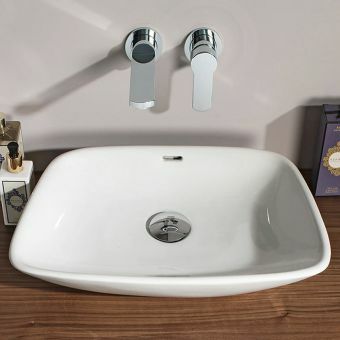 It should be noted that this product comes without a tap ledge. 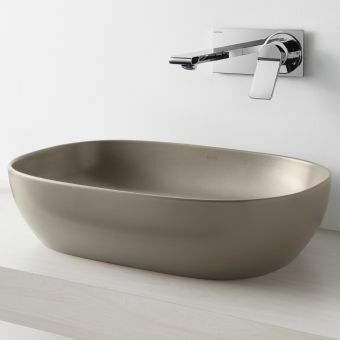 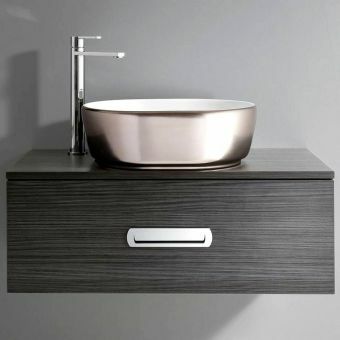 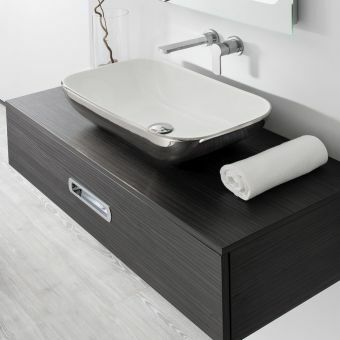 Another option is the V & B Memento 600mm Surface Mounted Washbasin. 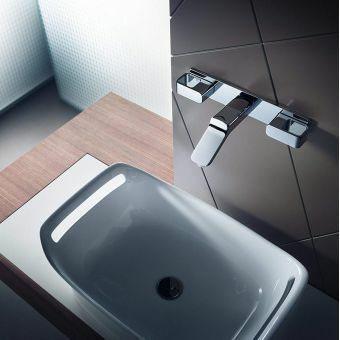 Traditionally styled, optional chrome supports provide a contemporary look. 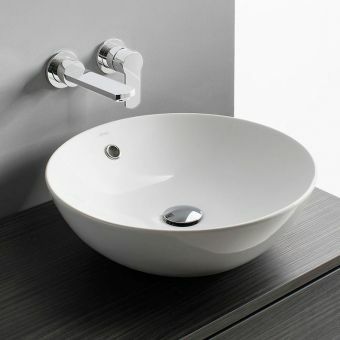 There are also semi-countertop versions available such as from the Ideal Standard Concept Sphere range. 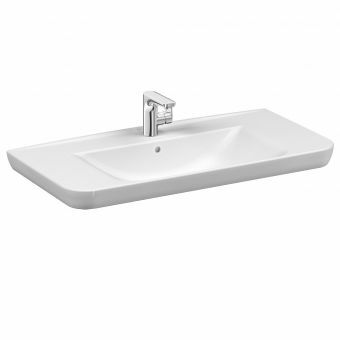 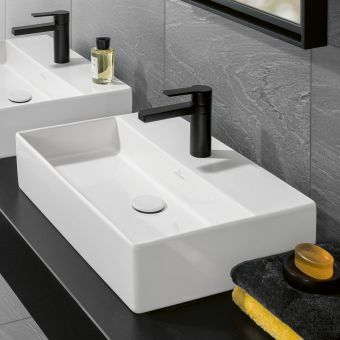 Available in 550mm and 450mm sizes, these basins are manufactured out of tough vitreous china and finished in white, designed to fit at the front of suitable furniture in the bathroom.